The number of journalists and media workers who were killed while carrying out their jobs rose again in 2018, reversing the downward trend of the past three years. This emerges from a new report by an international trade association. 19659002 Journalists (IFJ) said Monday that 94 journalists and media workers died in targeted killings, bombings and cross-cuts this year. The number of 82 killings recorded in 2017 also included 84 journalists, comrades and technicians, 10 media workers, including drivers and law enforcement officers. Six of the victims were women and there were also three other work-related accidents, the Brussels annual report said. The most dangerous place for journalists was Afghanistan, where 16 media workers killed her Have lost life. 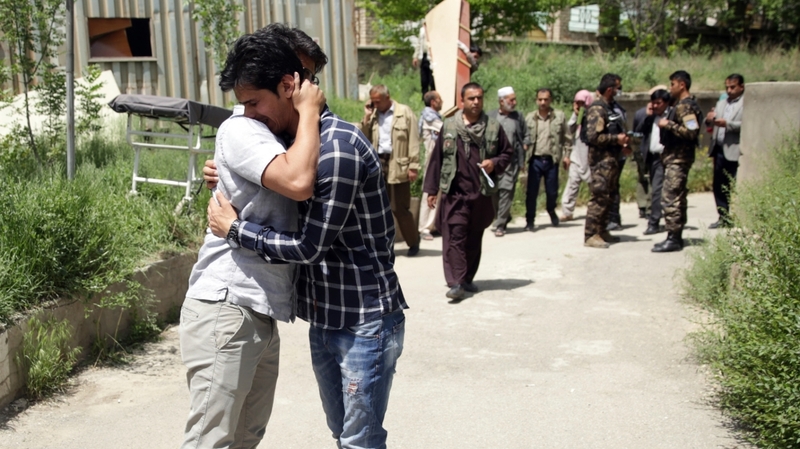 At least nine journalists were killed in an explosion in the Afghan capital Kabul in April following a suicide attack. The list "paints a situation of ongoing security crisis in journalism caused by the cruel murder of the columnist Washington Post and the Saudi citizen Jamal Khashoggi was highlighted, "the IFJ said in a statement. Khashoggi was assassinated on October 2 at the Saudi Consulate in Istanbul. His body was not found. Khashoggi has critically appealed to the Saudi Arabian government, and the alleged involvement of Saudi Crown Prince Mohammed bin Salman in the murder of the journalist has pressurized other countries' governments to separate economic and political ties. 19659004] "Jamal Khashoggi was a well-known figure, but you know, the most shocking statistic is that we know that nine out of every ten journalist murders in the world go unpunished," said IFJ president Philippe Leruth. Leruth called for this The United Nations member states adopt a convention on the safety and protection of journalists, which she presented to UN missions in New York in October. "This convention, supported by the whole profession, is a concrete response to crimes against journalists in total impunity," he said. "Sad memory journalists – security remains elusive"
The IFJ connects some 600,000 media professionals from 187 unions and associations in more than 140 countries. The group said the new report showed that journalists are exposed to dangers, apart from the risks of reporting from war zones and preventing extremist movements. 19659004] "There were other factors, such as the growing intolerance of independent reporting, populism, rampant corruption and crime, and the collapse of law and order," the IFJ said. Anthony Bellanger, secretary general of the group, called the numbers on the group's list "a sad reminder that the safety of journalists remains elusive, as long as countries that boast institutions that enforce the law, but by Corruption and incompetence are paralyzed in the face of relentless attacks on journalism ". He added, "As such, they stand as a damning indictment of the authorities for failing to uphold the journalists' right to their physical safety and to guarantee an informed public discourse in a democracy."